Another one of my favorite holiday recipes are Chocolate Layer Bars. These delicious bars taste practically the same in their gluten free version as they do in their original form. 1) Combine chocolate chips, cream cheese, and evaporated milk in a medium saucepan. 2) Cook over low heat, stirring constantly until mixture is smooth. 4) Stir in walnuts and 1/2 tsp almond extract. Blend well. Set aside. 5) Combine remaining ingredients in a large mixer bowl. Blend well until mixture resembles course crumbs. 6) Press half of mixture in greased 13 x 9 pan. Spread chocolate filling over flour mixture. 7) Now sprinkle the rest of the crumbs over the filling. 8) Bake at 375 degrees fahrenheit for 35-40 minutes or until golden brown. 9) Cut into bars when cool and enjoy! Today is the start of our cookie countdown - every day this week we will be featuring a different gluten free cookie recipe! 7 Layer Bars have always been one of my favorites! They are sticky and sweet and taste essentially like candy! And the recipe is so easy to make! 1) Melt margarine in 9x13 glass dish. 2) Spread graham cracker crumbs across the dish. 3) Then spread the coconut. 4) Next pour the chocolate chips. 5) Now add the condensed milk. 6) And top off with the chopped walnuts. 7) Finally, put in oven at 325 degrees for 30 minutes. Don't forget to check out Ms. Celiac's Market to purchase the ingredients! 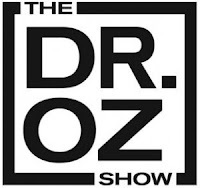 For those of you that haven't yet heard, the Oprah-endorsed Dr. Oz will be having a special tomorrow, Thursday, December 10th, 2009 on Celiac Disease. In NYC, this episode will air tomorrow at 3 PM on Fox. However, make sure to check your local listings for when and where it will air in your market. The show is being described as "Bloating? Fatigue? Joint Pain? Learn what serious disease presents with these common symptoms." Also, both The View's Elisabeth Hasselbeck and Dr. Peter Green (Director of the Celiac Disease Center at Columbia University) will be guests on the show. For more information, please visit www.doctoroz.com. What type of holiday is it without Spinach Balls?! One of my all time favorite hor d'oeuvres are Spinach Balls! I have been enjoying them since I was very young and have recently altered the ingredients a bit so that they are gluten free. And the best part is that the gluten free version tastes just like the gluten-containing variety! 1. Cook and drain the spinach. 2. Combine all ingredients and roll into small bite-size balls. 3. Place on cookie sheet and freeze for about 20 minutes. 4. Put in plastic freezer bag and keep in freezer until needed. 1. Place on cookie sheet and bake for 20 minutes at 350 degrees. Now, enjoy this tasty treat! Hanukkah will be here very soon, therefore, I wanted to feature some gluten free versions of traditional holiday recipes. Yesterday, I decided to make Sweet Potato Latkes! As it was my first time making a gluten free version of this recipe, I was rather surprised at how well they turned out and how tasty they were. Below are the ingredients that you will need along with step-by-step directions on how to prepare this dish. Many of the ingredients are available at Ms. Celiac's Market. The following recipe will make you approximately 10 latkes. 1) Peel and grate the sweet potatoes and set aside. 2) Combine the brown rice flour, xanthan gum, baking powder, sea salt, cumin, and pepper. Mix. 3) Add the sweet potato puree, soy milk, and honey. Stir. 4) Using a frying pan, heat about a 1/4 inch of olive oil over medium-high heat. When the oil is hot, drop the latke batter by spoonfuls onto the pan, cooking one at a time. 5) Flatten batter on pan with a spatula. Flip over and make sure that both sides are crispy. 6) Drain on paper towels. I wanted to let you all know that very soon we will be starting to feature great gluten free recipes for the holidays! Although, these posts will be cookie-centric, I will also include some other delicious recipes! Stuffing, in my opinion, is by far one of the best parts of a Thanksgiving dinner. Unfortunately, for us on a gluten free diet it is also one of the parts that we usually cannot enjoy. However, there are now several brands of gluten free stuffing that you can make so that you don't miss out on this tradition! 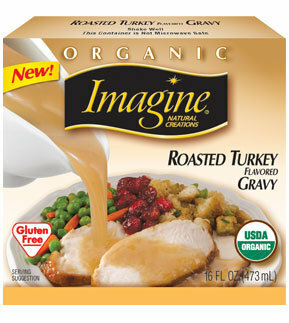 Whole Foods Gluten Free Bakehouse sells bags of Stuffing Cubes which you can make into the perfect Thanksgiving stuffing. Also, Aleia's produces both a Savory Stuffing Mix and a Plain Stuffing Mix which is available at health food stores throughout Connecticut, Maine, Massachusetts, New Hampshire, New Jersey, New York, and Rhode Island. You can see a picture of this stuffing above. For more information on Aleia's brand of stuffing, please visit their website at www.aleias.com. 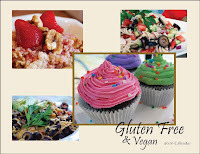 Gluten Free Naturals is a company that makes an assortment of delicious gluten free baking mixes. You can purchase Gluten Free Naturals' products at their online store by visiting their website, www.gfnfoods.com. 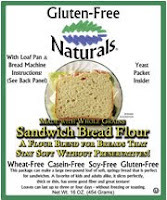 Gluten Free Naturals products are also available at select health food stores in Connecticut, Florida, Georgia, Illinois, Maryland, Massachusetts, Michigan, Minnesota, New Jersey, New York, North Dakota, Pennsylvania, Ohio, Rhode Island, and Wisconsin. Looking to bake some easy, yet yummy, gluten free autumn snacks? If so, I recommend trying Mixes from the Heartland's Pumpkin Brownie Mix. The mix comes with most of the ingredients. You just need to purchase 2 eggs and butter. Then all you need to do is mix all of the ingredients together and put them in a 9x9 pan and bake for 30 minutes at 325 degrees. It is very simple and the brownies turned out great! Are you looking for that perfect pie to enjoy for Thanksgiving dessert? Well, I put together a list of some delicious treats and where you can find them. My favorite dessert for Thanksgiving is a gluten free mini pie from Whole Foods Gluten Free Bakehouse. They sell Apple Pie, Pumpkin Pie, and a Southern Pecan Pie. You can find them at any Whole Foods Market! 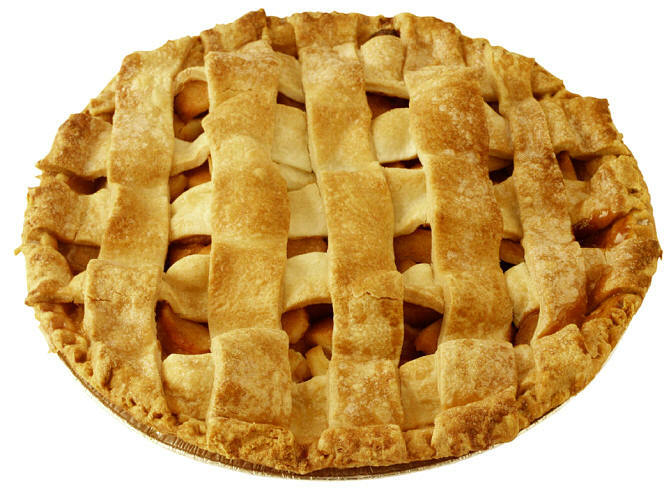 The Grainless Baker also has 4'' and 8'' Apple and Pumpkin Pies that you can find at stores that carry their products. To find out what stores will have these, check out their website, www.thegrainlessbaker.com. Celiac Specialties also makes a few great desserts including Apple Coffee Cake, Pumpkin Chocolate Chip Cake, Pumpkin Cake, and Apple Strudel. 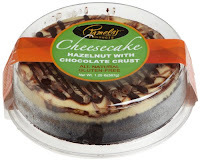 You can order these at their website, celiacspecialties.com. Mr. Ritt's Gluten Free Bakery also sells a great Jewish Apple Cake and a Dairy Free Apple Cake! For those of you that are on the West Coast, The Sensitive Baker makes yummy Mini Apple Tarts. For more information, check out their website at www.freshglutenfree.net! I hope this helps everyone in their search for the perfect Thanksgiving dessert! I also wanted to take this time to announce the winner of our 4th Ever Contest! 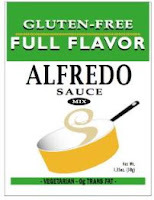 Full Flavor Foods is a company that produces gluten free soup stocks, sauces, gravies, and cream soup. In addition to being gluten free, their products also contain no MSG, no trans fats, and no artificial flavors, dyes, or preservatives, as well as, being nut and egg free. 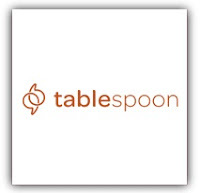 Their products are also certified gluten free by the Celiac Sprue Association with 2% of profits being donated to celiac research projects. Full Flavor Foods are available at health food stores in the following states: Connecticut, Delaware, Florida, Idaho, Illinois, Indiana, Iowa, Kansas, Kentucky, Maine, Maryland, Massachusetts, Michigan, Missouri, Montana, Nebraska, New Hampshire, New Jersey, New York, Ohio, Oklahoma, Oregon, Pennsylvania, Rhode Island, South Carolina, South Dakota, Texas, Utah, Virginia, and Wisconsin. Consolidated Natural Food Center @ 835 2nd Avenue. For a list of places to purchase Full Flavor Foods online, visit their website at www.forfullflavor.com. 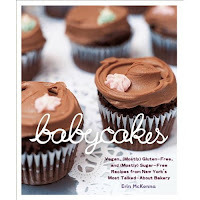 The Celiac Maniac Gluten Free Vegan Baker and Blog has released a 2010 Calendar featuring recipes and photos! The best part is that 10% from the sales of these calendars will be donated to The Gluten Intolerance Group of North America. The calendars retail at $10 and contain helpful gluten free tips and information + gluten free vegan recipes with mouthwatering pictures. To purchase the calendar, please visit The Celiac Maniac. For more information on The Gluten Intolerance Group of North America, please visit their website at www.gluten.net. For those of you that are planning on going trick-or-treating tomorrow then you are in luck because there are many gluten free candies that you can enjoy! 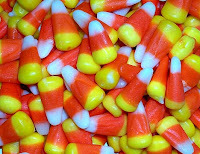 Below I provide a list of many common gluten free candies that are given out on this holiday. As always, I recommend that you double-check with the manufacturers as product ingredients are constantly changing. Sorry for the lack of posts this week - I'm not sure when I will be posting again on a regular basis. My cocker spaniel, Mutsy, passed away earlier this week from what is believed to be an allergic reaction to her first chemotherapy treatment to treat lymphoma. I had spent about 13 years with her and we were very close. She was such a special spaniel with the best personality and spirit. However, I wanted to post today as I had written this post in advance last week and wanted to post it for everyone that is going trick-or-treating tomorrow on Halloween. So, even though I mostly feature gluten free restaurants and products, I also like to keep everyone updated on some of the latest happenings within the Celiac Disease community including the latest medical research studies. New studies out of Australia are suggesting that the parasite, hookworm, may help those suffering from Celiac Disease. Why is this? Well, it is believed that these parasites may alter the immune system in the body. As our culture puts the emphasis more and more on cleanliness, we have removed these organisms from our bodies where, perhaps, they should be. There are many different types of hookworms and currently it is thought that only 2 types are supposed to be in the human body. 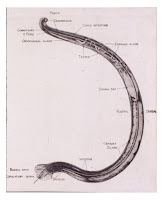 We still have a long way to go before the possibility of those of us with Celiac Disease start using hookworms as treatment, but more and more studies are being done to see how effective this method would be. Autumn is the perfect season to start trying out some tasty soup recipes. 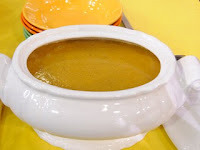 Good Morning America's Emeril Lagasse's Gluten-Free Whoopi Soup was selected as one of the final 3 dishes in the "Come Together" campaign. The "Come Together" campaign was a six-week initiative led by Good Morning America, Macy's, and Feeding America to raise money to benefit food banks nationwide. For more information on this recipe, please visit Good Morning America's website. For more information on Feeding America, please visit feedingamerica.org. Looking for a delicious cheese crisp? Why not try the All Parmesan Gourmet Wafer Crisps from Kitchen Table Bakers. This cheesy snack is gluten free, trans fat free, sugar free, and rich in calcium and protein while being naturally low in calories and carbs! Kitchen Table Bakers' Crisps are available at select health food stores and supermarkets including Wegman's, Whole Foods, Wild Oats, Bristol Farms, Food Emporium, D'Agostino's, etc. You can also purchase them online at Ms. Celiac's Market! For more information, please visit www.kitchentablebakers.com. Red Mango, the retailer of authentic nonfat frozen yogurt, has launched a new seasonal flavor. Pumpkin Spice will be available at all locations until December 31st, 2009! Now you can enjoy the delicious flavors of autumn, as this new yogurt is bursting with the flavors of pumpkin and cinnamon. Even better news is that this is a healthy treat for yourself. A small serving contains less than 100 calories and is 100% all ntaural, fat free, gluten free, and contains no preservatives, artificial colors, and/or flavors. Red Mango's yogurt now contains GanedenBC30, a patented strain of natural probiotic that has been shown to help support the immune system and to regulate the digestive tract. For more information, please visit www.redmangousa.com. Last spring, I attended the Suffolk County Gluten Free Vendor Fair and was able to try an assortment of different gluten free bakery products. Some of the delicious samples were from a company called, The Silly-Yak Bakery. The Silly-Yak Bakery makes gluten free breads and treats from scratch with absolutely no preservatives. They are based in Madison, Wisconsin but you can order from them online at www.freshglutenfree.net. For more information, be sure to visit The Silly-Yak Bakery at www.freshglutenfree.net.